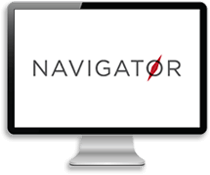 Turbo-charge your preparation with Navigator, your all-in-one GMAT dashboard. Learn the best solution methods for Official Guide (OG) problems, analyze your strengths and weaknesses, and prioritize your studies. Navigator Basic is the free version of this tool. Basic users will not have access to full product features such as 600+ written explanations, 300+ video explanations, the Official Guide ‘Hot List’, or the ‘Problems by Topic’ list. If you would like access to these features, check out the full version of Navigator here. Students who want to develop a solid study plan for the GMAT and are considering purchasing GMAT Navigator. This package gives you partial access to a variety of online tools designed to help you successfully prepare for the GMAT. Timing and Tracking enables you to time your performance and track your answers. Problem Data Dashboard sorts through your finished problems and rates their difficulty levels. Interactive Analytics allows you to view your performance, so you know exactly what areas of the exam you need to review. Want more? Buy the full version of GMAT Navigator!